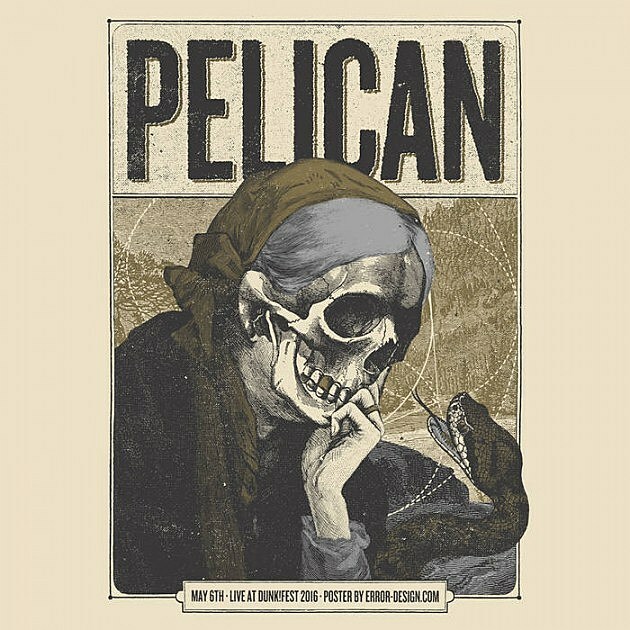 Chicago post-metal greats Pelican have been pretty quiet on the release front since 2013’s Forever Becoming, but now they’ve surprise-released a new double live album called Pelican Live at dunk!fest 2016 (which is actually the second live album they’ve put out since then). As you might imagine, the live performance was taken from their appearance at Belgium’s dunk!Fest, put on by dunk! records, who are releasing the vinyl version of the live album, which you can order here. You can both listen to and watch video of the full show below. Meanwhile, Pelican recently joined the ranks of bands who are donating to the ACLU in the wake of Donald Trump’s election. Pelican have two upcoming US dates: a Chicago show and the LA Power of the Riff fest, which goes down on December 17-18 at the Regent, and still has tickets on sale.